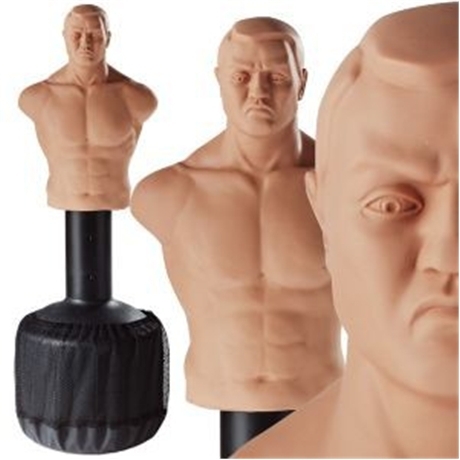 Function: Anatomically accurate sparring partner, height adjustable. Weight: 300 lbs when filled with water, 500 lbs when filled with sand. Colour: Body is flesh coloured, base is black. Materials: Body is a rubberized compound and the base is made of solid plastic.